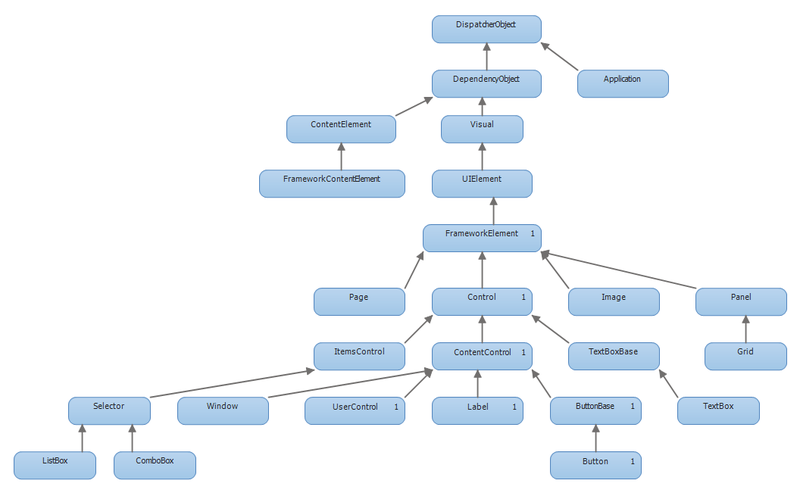 Post #27 presented a class hierarchy that shows the most common classes used in WPF. Here is an updated view, with ContentElement and FrameworkContentElement added. These two classes are sometimes used as base classes for creating new elements, so it’s important to know where they fit in the class hierarchy. (Click on the image to see the diagram full-sized).